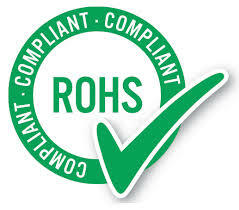 The RoHS Directive stands for ”the restriction of the use of certain hazardous substances in electrical and electronic equipment”. This Directive bans the placing on the EU market of new electrical and electronic equipment containing more than agreed levels of lead, cadmium, mercury, hexavalent chromium, polybrominated biphenyl (PBB) and polybrominated diphenyl ether (PBDE) flame retardants. Global Metal Finishing offers a RoHS compliant alternative to standard chromate conversion coatings. Our product is Hexavalent Chromium-Free, clear and provides the same treatment properties as our standard chromate finishes.